Notes By late 1943 the growing threat of allied ground attack aircraft had begun to take its toll. The Luftwaffe had lost control of the skies in Italy and something was needed to protect armoured vehicles from air attack. The solution was to arm as many vehicles with light anti-aircraft guns as possible and the Möbelwagen ((Moving Van) was one such vehicle. Built on the chassis of the Panzer Mk. IV tanks which had returned to be repaired, the Möbelwagen was armed with a single 37mm FlaK 43 complete with shield and capable of 360° traverse. The gun was basically mounted in an armoured box with sides that could be lowered in various stages to allow the gun to engage different types of targets. 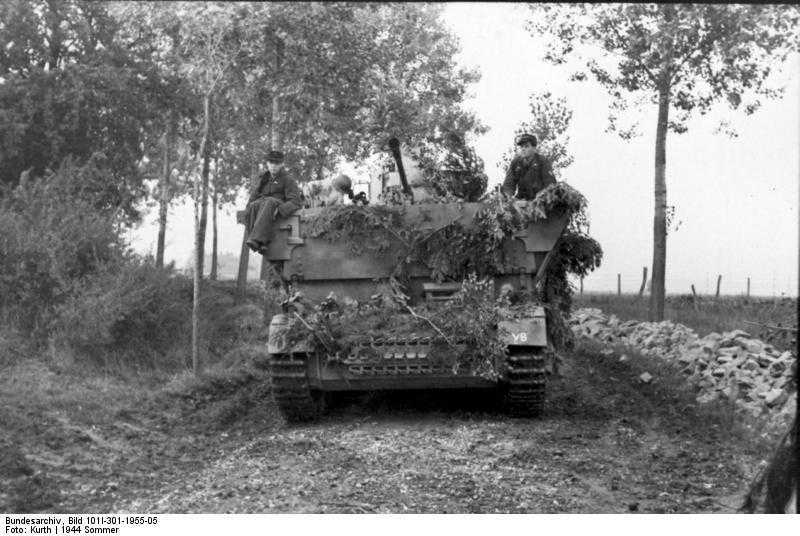 The Möbelwagen was first issued in the spring of 1944 and did the job of protecting armoured units until better vehicles could be developed. It mainly saw service in Western Europe.